What is Soft Magnetic Composite? In recent decades, designs in automotive and other industries have demanded better magnetic materials. Since the 1990s, soft magnetic composite (SMC) has filled that gap -- but only for engineering teams aware of what it can bring to an electric application. Are you completely in the dark on soft magnetic composites? All brushed up on the basics but need a little more research? Or somewhere in between? Keep reading to learn what makes SMC so important to parts in motor and other applications. 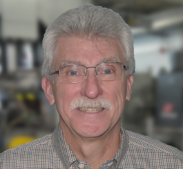 Fran Hanejko is an industry-leading expert who happens to work with Horizon as our Senior Advanced Materials Engineer. Fran has decades of experience in the powdered metal industry, including managing customer applications for Hoeganaes Corp., the world’s leader in metal powder development and production. He graduated from Drexel University in 1974 with a master’s degree in materials engineering. Contact Fran with your questions by filling out the form below. This basic article introduces SMCs to the unfamiliar engineer or purchaser. Among the points covered are how soft magnetics open new opportunities, why they matter in design, and how heat affects magnetic performance. Which is easier to worry about -- 1,300 components or 10 components? For decades, manufacturers have accepted as law the obstacles associated with standard lamination steels. But the emergence of soft magnetic materials for use in auto and motor parts should not be ignored by those seeking a truly unique, remarkable part. How do SMCs compete with lamination steels? Let’s take a look. Powder metallurgy provides the ability to manufacture net shape parts from a variety of materials in a cost-effective manner. Electromagnetic applications in particular have taken advantage of powder metal’s flexibility. This market has shown significant growth in recent decades and should continue to in future years. If you’re new to SMCs, check out this paper, which discusses materials and processes that have succeeded in several electromagnetic products. Our world is focused on making electrical devices faster, lighter, and overall better. Why should motors be any different? Soft magnetic material allows for revolutionized designs of electromagnetic devices. That translates to improved efficiency and reduced weight and costs -- without sacrificing magnetic performance. This paper discusses the use of high-performance materials for D/C applications as well as the use of insulated powders for high- and low-frequency applications. Alloys of iron and silicon are highlighted. Today, more than 90% of powder metal products are used in the transportation industry. Development of new materials such as magnetic materials is expected to meet the “faster-smaller-denser” demands of the automotive industry. This paper investigates the correlation between compaction parameters, inner structure, magnetic qualities, and mechanical properties. For years, powder metal nickel steel sprockets have been in use in the SUV transfer case market. The heat-treated powder metal provides high strength and wear resistance for a demanding application. Due to rising raw material prices several years ago, researchers found a replacement material with comparable properties at a competitive price. Click the link above to see the analysis. The chance to move from 2-D to 3-D design of electrical machines is possible thanks to soft Magnetic composites. These iron-based powders are insulated and pressed to realize shapes otherwise impossible with traditional lamination sheets. This paper presents recent progress in mixing SMC iron powders and phenolic resin, in different weight percentages and mold pressures. The goal? Compromising between magnetic and mechanical qualities. 1P? 3P? 5P? What Can These Powder Metal Processes Do For Your Numbers? Powder metal does more than you might think -- if you’ve got the right material. Knowing the strengths and subtleties of each material process can make your product stand out in a competitive market. Three emerging material processes you should know about ASAP are the 1P, 3P, and 5P soft magnetic composites. Here’s how each material will bestow certain qualities on your application. Manufacturers of wind turbines and electric machines always had to find a balance between using generators with low-weight, low-reliability systems and using heavy, high-efficiency systems. A new generation of motors and generators based on axial flux technology combines the best of both worlds. This blog post describes the difference between axial and radial flux technologies. SMCs are today a viable alternative to steel laminations in a range of new applications, such as rotating machines, fast-switching solenoids, and sensors. And you can do it while creating a fraction of the components per product! This paper focuses on how material properties are affecting the performance of a novel motor design. This paper explores the advantages and disadvantages of single-sided and inside rotor axial flux geometries when considering permanent magnet synchronous machines. Source: Regal Beloit, University of Nebraska, The Timken Co.
As powdered metal products become more cost-efficient, with tighter tolerances and more complex shapes, machinability is important to engineers. This paper describes the properties of the AncorCut machining system for powdered metal steels. Soft magnetic materials made with powder metallurgy are gaining popularity with engineers specifying components for motors, compressors, and other rotating devices. This advanced paper discusses application of this groundbreaking material in motors operating at frequencies above 400 Hz. This article begins by introducing the importance of electrical steels in their application as electrical machine cores. At the center of the discussion? The origin, controlling factors, and methods of optimizing core loss -- SMCs’ most important magnetic parameter. Powder composite materials are now making their way into niche power device applications, so the article compares their magnetic properties with lamination steels’.